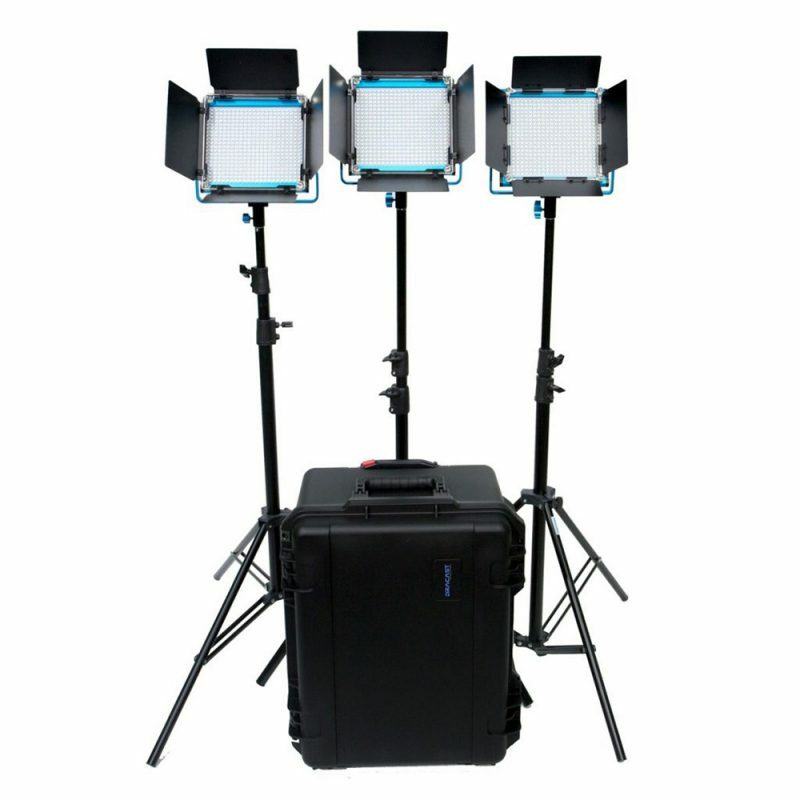 The S-Series Plus Light Kit from Dracast includes up to three S-Series Plus LED lights in either daylight (5600K) or variable color (3200K – 5600K). The kit includes either V-Mount or NPF battery plates pre-installed on each light as well as light stands and barndoors for each fixture. Also included are individual carry bags for the light fixtures and light stands, plus your choice of either a nylon padded travel case or injection molded hard travel case. Finding the right lighting solution isn’t exactly the easiest project. Choosing the right mix of lights and making sure all the right accessories are covered can quickly become a guessing game if you’re not 100% positive. That’s why we’ve removed the guesswork and created ready-made, all-inclusive, customizable kits that can be ordered to fit any situation and budget. That way, when your Dracast lights show up at your door, you can be confident that you have everything you need, and nothing you don’t. Photographers have different needs than DPs. ENG shooters are looking for a different kit than studio production houses. Whether you need batteries, light stands, barn doors, or a flight case, our kits have you covered. Choose what YOU want, leave out what you don’t. It’s that simple.